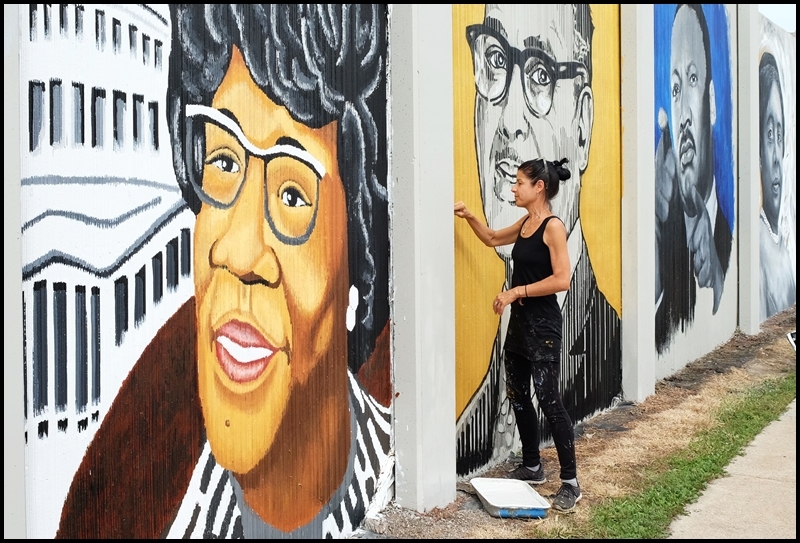 "This space provides the ideal surface for a mural that will respond to the significance of the location as the entrance into the Historic Corridor and that celebrates our nation’s civil rights legacy. 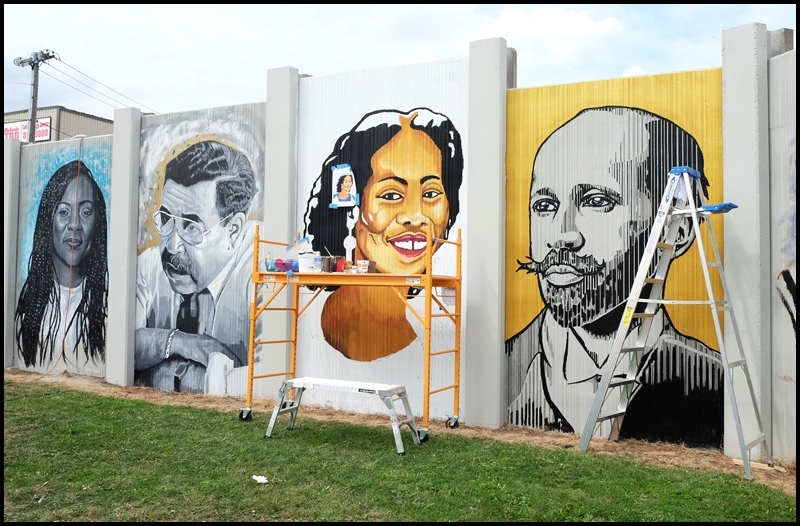 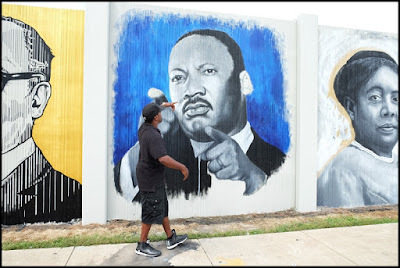 The Freedom Wall project (working title) will utilize the design of the wall, divided into sections, to depict portraits of 28 notable civil rights leaders in American history, past and present. 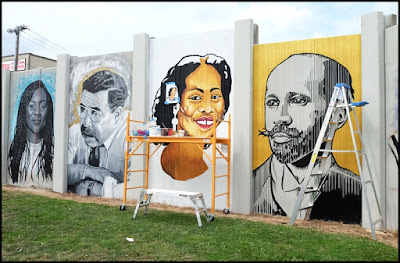 The scale of the wall creates a unique opportunity to present a historical narrative that recognizes well-known national activists alongside equally important but less-widely-known local leaders." 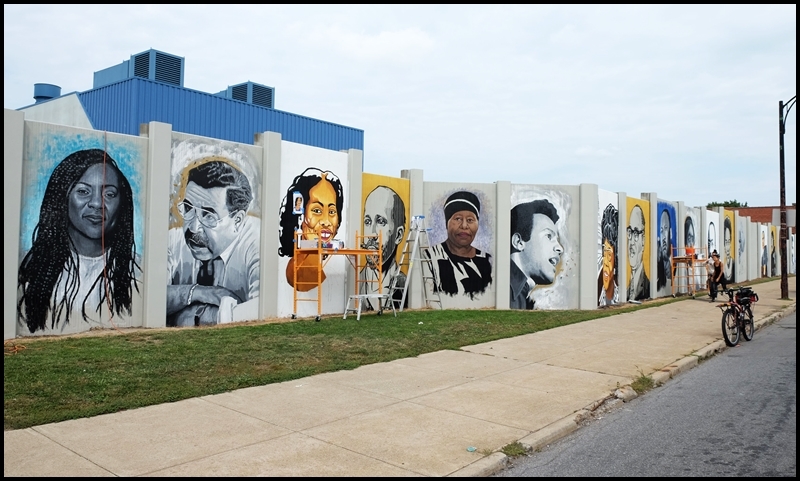 In all, there are 28 portraits being painted by four artists and the wall stretches around the corner for two city blocks. 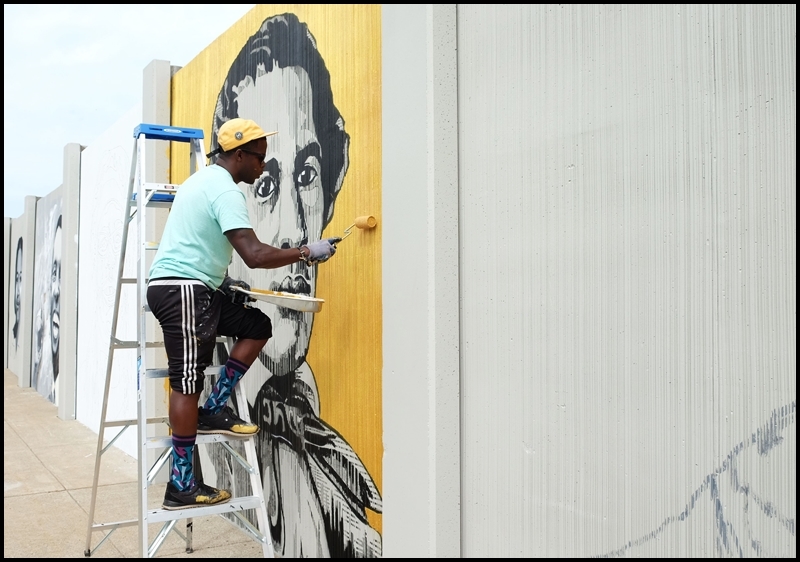 The project is slated to be completed in the next couple weeks and there will be an opening with a street party. This, to me, is really inspiring and worth pedaling a few blocks out of my way to pass it on my way to work.